‎‎Beyond Earth follows the colonization of another planet in a future setting. - October 24, 2014 for the PC version. - Mac and Linux versions will be released this holiday season via Aspyr Media on Steam and through Apple’s Mac App Store. You can pre-order a Steam code for the for Mac and Linux through Aspyr’s online store. Prices are subject to change and may vary in different regions. The US price is currently $49.99, UK price is £29.99. What are the minimum system requirements for Beyond Earth? Windows Vista SP2, Windows 7. Intel Core 2 Duo 1.8 GHz, AMD Athlon X2 64 2 GHz or better. 8 GB hard drive space. NVIDIA 8800 GT 256 MB or better. Intel HD 3000 or better. The Steam client and a Steam account are required for Beyond Earth. Does Beyond Earth support Mac or Linux? Only Windows is supported for now. Aspyr Media will release the Mac and Linux versions in the upcoming holiday season. Does Beyond Earth require Civilization V to play (or is Beyond Earth an expansion)? Beyond Earth is an entirely new, standalone game. It does not require any previous Civilization game. 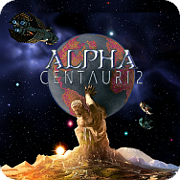 Is this a sequel/remake of Sid Meier's Alpha Centauri? Beyond Earth is a new game, not a follow-up to Firaxis' earlier game, Alpha Centauri, although both games have similar themes. Yes. Up to 8 people can play multiplayer. Yes. There will be cross-platform multiplayer available via Steam. Yes. See current state of support. Is this game on Steam Workshop? Will there be a feature similar to the Civilopedia/Datalinks? Does Beyond Earth use One Unit Per Tile? What factions can you choose? What victory conditions are there? Will the game include a digital soundtrack? Yes, you can extract the soundtrack files from your Civ: Beyond Earth copy of the game. See the . Is there any DLC available? The Exoplanets Map Pack DLC was available as a pre-order bonus. What does the Exoplanets Map Pack add? Why do they bother including RAM requirements anymore, even my jittery bargain laptop has eight gigabytes. - added links to articles on this board. Page created in 1.423 seconds with 39 queries.